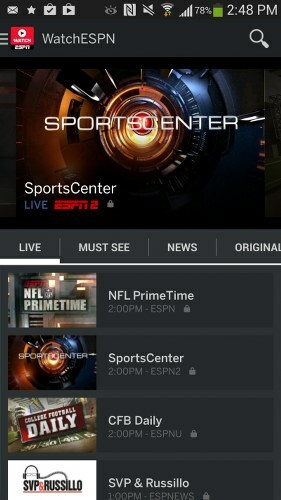 ESPN launched WatchESPN App for Android (version 2.3 and above) with Monday Night Football games and on-demand clips that include latest news and highlights from various sports leagues. Previous version required users to log in with their cable provider’s credentials. iOS users will have to wait for iOS app.